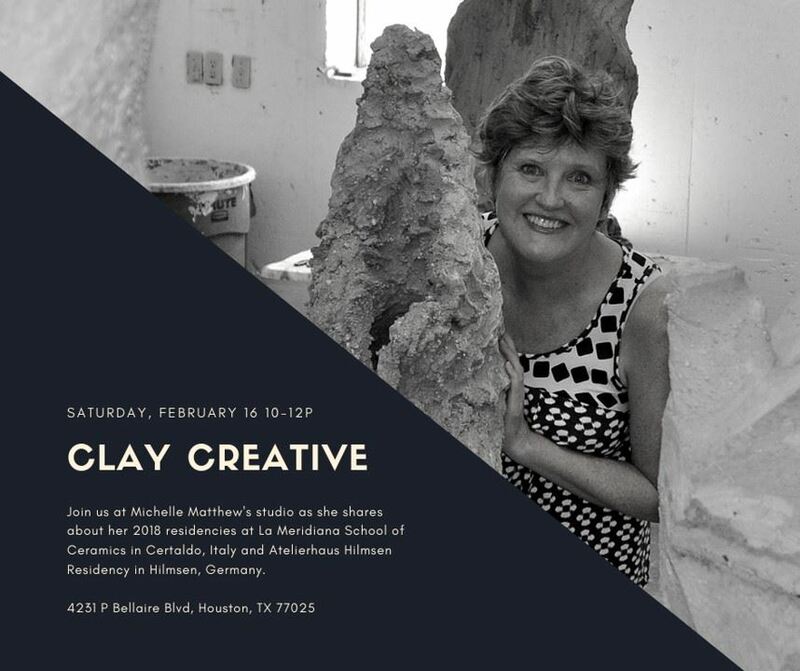 Clayhouston will begin hosting Clay Creative, a social event in order to connect with our clay community as well as a time to learn from our fellow members. Each Saturday will be hosted at a different ClayHouston member's studio and will take place the third Saturday of every other month. Hosted by Michelle Matthews at her studio. She will discuss her 2018 residencies at La Meridiana School of Ceramics in Certaldo, Italy and Atelierhaus Hilmsen Residency in Hilmsen, Germany.